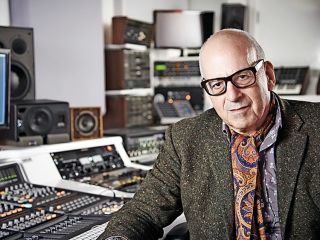 PRODUCTION EXPO 2014: Despite being a budding film editor, Daniel Miller showed early signs of entrepreneurialism in the late '70s by scraping up enough money to release his own single, Warm Leatherette. Recorded in Miller's apartment using two Revox B-77 tape machines and a cheap Korg 700S synth, the track was a dystopian predictor of the Electronic Rock movement that was to explode several years later. The single was released on Miller's own Mute label, and demo tapes came flooding in to the address provided on the vinyl sleeve, with New Wave/Industrial act Fad Gadget becoming the label's first true signing in 1979. Since that day, Mute have ridden through the hiccups that all labels experience. The initial success of Depeche Mode helped guide the label, while gigantic sales from Moby's Play album provided much-needed income during a troublesome end to the '90s. You signed Depeche Mode in 1980. Was their success the key to the ignition, so to speak? "There were quite a lot of releases between my first single and the first Depeche Mode record. I didn't have an office or anything; I just worked from home, and for quite a long time I didn't have any employees so the overheads were really low. The first release we did outside of my single was Fad Gadget, which we recorded quite cheaply and that did very well. In those days, you could sell 10,000 singles relatively easily if it got good reviews and John Peel played it, and there was a very healthy export market. Once I started to release albums from DAF, Fad Gadget and Silicon Teens - another project I did - that all helped keep things going. My ambitions were high musically, but low in terms of running a business." Are there any artists you would have loved to have signed but missed out on? "Not really. Human League I really liked and Cabaret Voltaire, but they were up in Sheffield and I didn't know them at all. Kraftwerk were a bit outside of my league at the time [laughs] and probably still are now. We were very friendly with some of the other bands like Soft Cell and Blancmange; I really liked Soft Cell and produced their first singles. I knew OMD early on, but I was encouraging people to put stuff out on their own labels if they could. I wasn't trying to hoard all these artists; my first thought was, 'Why don't you put it out yourselves?'" When it comes to signing artists, how much is it down to what you like, as opposed to predicting who might make it big? "It's all about signing artists that we like. The way that we work as a label, we have to really believe in the artist, not just from a commercial point of view but from an artistic point of view. We have to love the music, whatever that happens to be. From an instrumental ambient track to a singer/songwriter, we have to feel the artist has a lot more in them. It's not just about one song or one album, because we like to work long-term with people and feel that our ambitions are aligned." "In those days, you could sell 10,000 singles relatively easily"
Numerous artists on the label have stayed very loyal to Mute and vice versa. What is the ethos behind the label that has allowed that to happen? "I think we give people creative space. In terms of making a record it's 100% creative control for an artist; we then say, 'Well, actually guys we need a single', or 'Why don't you do an edit for a single?' But basically we give them a space where they can create, get input when they want it and not have input when they don't want it. I think we do fair deals; in the early days all our deals were 50/50 profit sharing deals - some of them still are today. Unless somebody gives them a huge amount of money or offers them something we can't, generally speaking they stay or go off and do it themselves, like Nick Cave has done recently, which is fair enough. After 30 years of working together, why not? I'm very pleased to have had that experience working with him." At what stage did you notice that file sharing might become a problem to your business model? "I can't remember. I suppose maybe it happened more quickly than a lot of people anticipated, but everybody knew it was going to happen. Certainly by 2000 it was pretty clear what was going on and there was not much we could do about it as a relatively small label. I think there were a lot of mistakes made trying to protect people. It's a tricky subject really but I think you have to work out a way where you can satisfy the needs of the customer and the needs of your business." Are we beginning to see a successful adaptation to the file sharing phenomenon? "I think you have to; you can't survive if you don't adapt to the conditions. Whether it's file sharing or market conditions, you can't just carry on as though nothing's changed. I hope we've adapted reasonably well. All the artists we release are quite different from each other and different from the market as a whole. Some of these numbers you see don't really tell the story; a lot of our artists sell a lot of physical, much more than digital for instance. They might have 20% digital whereas the market is about 50%. Artists with fan bases, who have been around a bit longer, tend to have a much smaller digital share." You've built a new recording studio, Studio Mute. Is this for your in-house roster or aspiring musicians? "Well, we've always had studio facilities for Mute. When I started out in 1979 I had my four-track in my bedroom, so that was a studio facility I suppose, but I've always thought it was very important to have some kind of studio facility for our artists to work in, and very close to our premises. It means that the artists are in the building and they feel more connected to the label. "We tried to build a good quality studio at a reasonable price, but at the same time we also welcome outside clients as it's great to learn from them as well. So the new studio is a continuation of that process - it's a one minute walk from our building and we were lucky to find a space so close." "A lot of our artists sell a lot of physical, much more than digital for instance"
I understand the studio has a vast array of both analogue and digital equipment. What treasures can people expect to find? "Well, we've got some real classics in there: 303, 808, 909, Minimoog, a Sequential Circuits Pro One and a little Roland System-100M modular. We've got a PolyVox synth and a Russian drum machine as well, which sounds great. We've also got a couple of organs, a proper piano, an ARP Sequencer, and a Moog SE-1X Studio Electronics thing as well. It's a good variety of things." What's the centrepiece of the studio in terms of the console desk? "It's a 16-channel SSL Matrix. We did a lot of due diligence about the right way forward and felt that was a good compromise. We've got quite a lot of analogue outboard gear as well, compressors, EQs and pre-amps for recording. The studio runs Pro Tools, but we know how to work with Logic and Ableton Live as well. Personally, I use Ableton when I muck around myself or want to do a remix. I'm not a Pro Tools guy, but pretty much all the projects are done on Pro Tools these days."